Chop nuts in food processor or blender. Add the dates, sea salt and cacao. Blend again. Roll into balls. 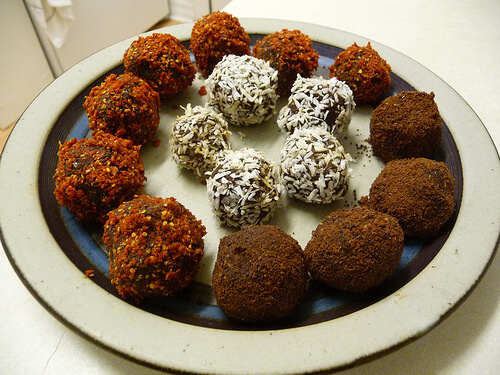 Dip in raw cacao, coconut, or goji berries… Enjoy!